Every job seeker experiences the multiple stages throughout their career development. We at Resume Genius have created a library of resume templates tailored for any career or life situation. Not what you’re looking for? Find all our free resume templates here! Why use the Job Hopper Template? Click here to find out! As the name suggests, a ‘Job Hopper’ is someone who has bounced around quite a bit from job to job within the same or similar industries. Usually, the job hopper works part-time or short-term jobs, which don’t always transfer well on a resume. This template pack is designed to downplay the high turnover of a candidate’s work history. The sleek layout helps to demonstrate that the job hopper is actually extremely adaptable and well-versed in the industry. Job hopping is becoming the norm rather than the exception. Specifically, college grads are estimated to stay less than two years at a job before seeking a new position, which makes this template well-suited for students with several short-term jobs. Additionally, anyone who has a work history comprised of temporary or part-time jobs will find the ‘Job Hopper’ pack extremely useful in maximizing their chances of securing an interview. Why use the Entry-level Template? Click here to find out! This resume pack is designed for job seekers who lack concrete work experience. The ‘Entry-Level’ puts the Education section ahead of the experience section. Since entry-level candidates have little to no experience, their Education section should be expanded to include relevant coursework, honors, and extracurricular activities. The experience section for this template pack is also a bit different in that it includes the candidate’s major school projects that relate to the job they are applying for. This is a solid strategy for any job seeker who lacks professional experience. This one is a no-brainer. If your professional history is lacking or you are still in school, this template is tailored for you. Why use the Mid-level Template? Click here to find out! The ‘Mid-Level’ template is equipped to support job seekers with a couple years of experience under their belts. Once you’ve been a member of the workforce for a number of years, it gets harder to get all your experience to fit on one page. The ‘Mid-Level’ resume was created to help solve this issue. For instance, the skills section in this template allows applicants to list as many talents as you please without taking valuable space on your resume. This resume template is for anyone who has plenty of experience, but has a hard time organizing it in a concise and effective manner. 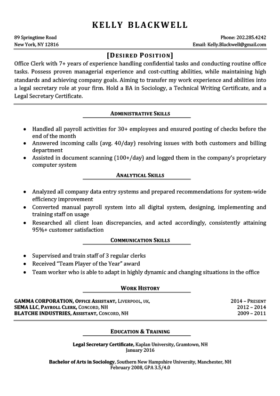 Furthermore since the skills section is emphasized, this resume is suitable for anyone with an impressive set of abilities. Why use the Manager Template? Click here to find out! The ‘Manager’ commands authority as soon as hiring managers lay their eyes on it. With its ultra professional design, the ‘Manager’ is built to hold a massive amount of information while also maximizing readability. The name says it all. This template should be used by any job seeker who has a lengthy work history and has held a managerial role. Also, applicants with relevant certifications or licenses should make use of this template. Why use the C-Suite Template? Click here to find out! The ‘C-Suite’ has all the necessary elements to optimize a lengthy and remarkable work history. These templates include an Areas of Expertise section – essentially an upgraded skills section – which allows for the candidate to list the fields at which they excel. Moreover, the professional experience section includes a key accomplishments portion where the applicant can showcase their most exceptional achievements. The ‘C-Suite’ is for job seekers at the top of the career food chain. If you have ever held a high level position in a company or have decades of experience, then the ‘C-Suite’ has your name on it. Why use the Career Changer Template? Click here to find out! The ‘Career Changer’ is designed to foster an applicant’s transition into a new industry. In the example below, the candidate – who has worked as an office clerk in the past – is seeking to work in the legal field and become a paralegal secretary. Similar to a functional resume format, the professional experience section is replaced with a relevant/transferable skills section. This allows the applicant to apply their experience from their old industry to the new industry they wish to work in. After a couple of years of working in a particular field, some people find that they landed in the wrong industry, but worry that it’s too late or too hard to change their career path. Resume Genius is here to remind you that it’s never too late and that your past experience is not wasted. We’ve designed a template that will allow you to exhibit your skills that transfer to the industry you wish to work in. Download the pack below and change your career path now. Thanks for the support! Good luck on the job hunt. Thank you so much!! 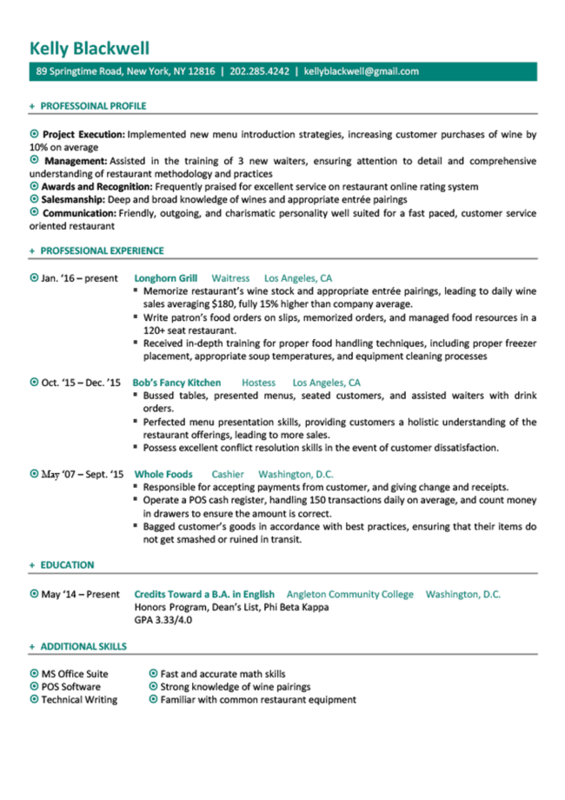 These templates really helped my husband and I with our resumes; he is changing career paths (a little) and is mid level management and I am a graduate student executive (newly) so I thank you for these, truly! Glad that we could help! Let us know how your job hunts go. i would like to know what can i use for a situation like mine wherein i stopped working for years and decided to find a job again. My job experiences in my resume will be dated a few years back. Is there anything that can help me at least to have a presentable resume.. Thank you very much. Hi, this is a really great website and full of knowledge. I’m glad i found this. Anyway I would like to ask some opinion. I quit my job (technical job – 7 years) to continue my study, and after graduate i have opportunity to do a freelance job (trainer) related to my expertise and at the same time i’m self employed and totally involved in a different line of business – I open a boutique (marketing n managing) – approximately 2 years . Now I need to find job again, related to my previous technical experience. However, I’m not really sure how to put these experiences in my resume. HI, I’m looking to relocate to a different state and change job fields. What type of resume do you think I should use for this. Hello I am a graduate in electrical engineering with specialization in quality assurance manufacturing and management I was wondering what resume template should I use? If you’ve just recently graduated, then go with the entry-level resume. Even if you have academic experience, this format should still work well for you. Good luck on the job hunt! Is the resume a PDF file? All templates should come in word document format. Good luck on the job hunt! Okay, it’s near the top of the page here. The images on this page are correct, but the DOC formats in the zip file are spelt incorrectly. Thanks for looking out! We’ve addressed the issue. Hi, I am looking for an opinion on what template would be best. I got out of the military a few months ago, and graduated with my bachelors last spring. Since you just graduated you might want to consider an entry-level template. However, a career change template would also be suitable if you want to showcase the relevant skills you learned during your time in the military. Check out both and see which one you feel better suits your situation. It may also depend on the particular job you are applying to. It often helps to use different resume formats depending on the target job. Good luck on the hunt!